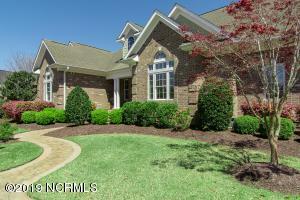 Beautiful home with top location is awaiting the next lucky owner. Enjoy stunning water and golf views from this well-appointed custom home. 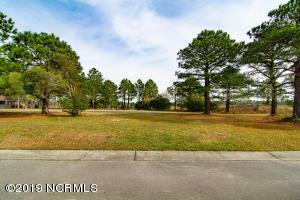 The secured entrance provides peace of mind and an attractive gatedway into this exquisite community. National Geographic Rated Sunset Beach as one of the Top 21 Beaches in the World. Inspired by the the legendary Thistle Golf Club of Leith in Scotland, Thistle Downs (Thistle Golf Estates) embodies the fine craftsmanship and aesthetic character of a bygone era. An old-world theme infused with modern sensibilities permeate throughout the community. Free-flowing interiors coupled with natural stone and brick exteriors are complemented by exquisitely maintained grounds and panoramic golf vistas. From the gated entrance, to the to the luxurious golf clubhouse and community center, no other communities in southeastern North Carolina combine the sophisticated and welcoming ambiance of this unique beach community. Thistle Golf Estates is poised to be one of the most desirable master-planned communities along the Silver Coast of North Carolina. 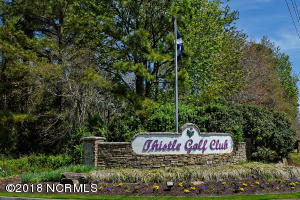 Conveniently located just minutes to beautiful and pristine Sunset Beach, North Carolina, Thistle Golf Estates offers one the area’s most stunning and tranquil settings along the southeast coast of North Carolina. Within 40 minutes, residents can enjoy the excitement of Myrtle Beach and sophistication of historic Wilmington, as well as two international airports. With just 165 planned custom-homes on 400 acres, Thistle Golf Estates offers an exclusivity and charm that many of the larger golf communities lack. With 27 majestic golf holes styled after the Scottish forebear Thistle Golf Club of Leith, residents may enjoy a relaxing round of golf or reminisce with friends and neighbors at the 19th century inspired clubhouse. The commitment to quality and traditional craftsmanship are apparent from the handsome stone security gatehouse and murmuring fountain, to the newly constructed residents’ clubhouse and common areas landscaped to perfection. This unique and attractive community successfully synthesizes the old-world charm with contemporary conveniences in a bold and serene atmosphere. Thistle residents enjoy a stunning community center designed and constructed by one of the areas top designers. Residents enjoy an attractive open lounge area, complete with comfortable furniture, entertainment areas, outdoor kitchen, outdoor pool, exercise room and exercise studio.